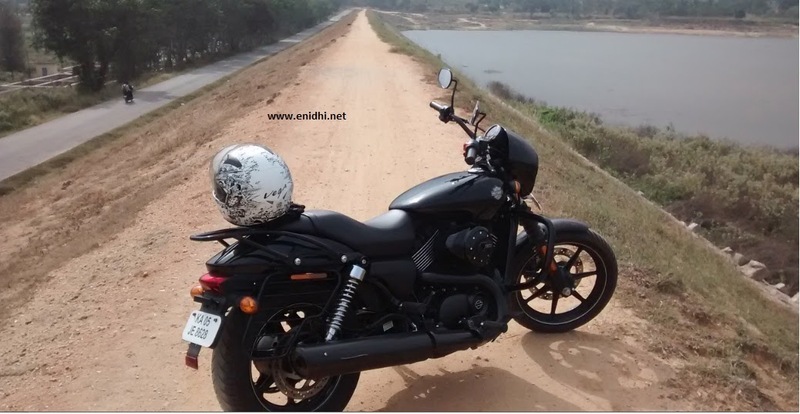 Home / Automobiles / product or service reviews / WickedRide Harley Davidson bike rental in Bangalore! 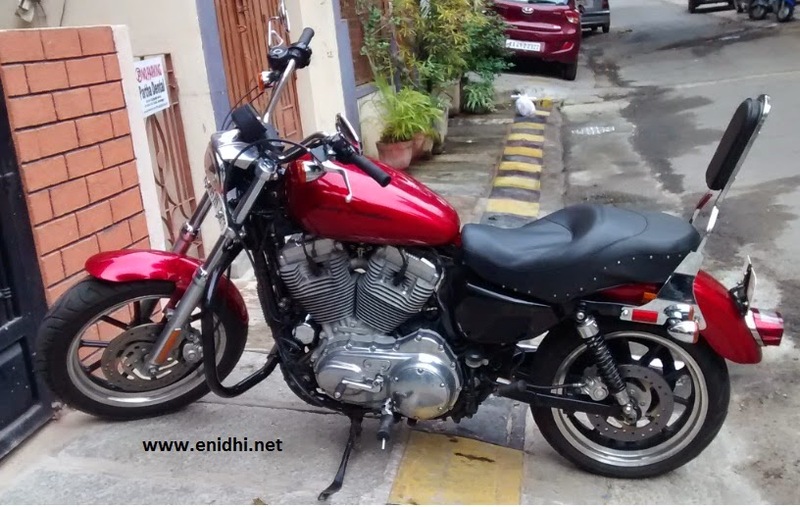 WickedRide Harley Davidson bike rental in Bangalore! Bangalore should be crowned “Self-drive rental capital of India” given the fierce battle between Zoomcar and Carzonrent (Myles) in recent times. Between these two companies and not to mention many other smaller firms, there’re 1000s of cars of different types available for Self drive rental in India’s IT Capital. There’re more options at cheaper rates to rent cars from in Bengaluru than any other city, including Delhi and Goa. A company called “WickedRide” is offering several Harley Davidsons and Royal Enfields. I heard about Wicked Ride through a friend (Vinod Kini, thanks for the heads up) and enthusiastically checked their website. Though rentals were on a higher side (compared to cars of similar purchase price), since there’s no competition or alternative one can’t really complain about the rental rates. Of course, cars have higher demand and better utilization, so car rental companies will be able to charge less and still make money. Bike rental business hasn’t really taken off in India like in say Thailand, so the rentals are still high and options are few. Another possible reason for high rental is their maintenance bill. I am told a wash of Harley Davidson costs Rs 600, oil change, Rs 4500, basic service about 5k and so on. Note that some bikes which were single seater by original design (Such as Continental GT) have been modified to have 2 seats. I would never buy a Harley, as I don’t find it practical and economical for everyday usage and I don’t have the cult following mindset to spend so much on the bike. But why not rent it and ride around for some time to find out what it is worth? · I am not well built macho person. 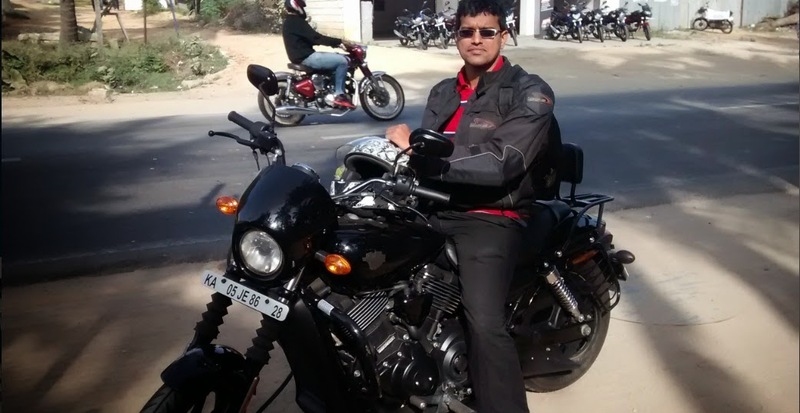 Can ordinary folks also ride a Harley with equal comfort? · What is unique about this bike that it is popular worldwide with cult following? · Is it practical for everyday city usage or it is good only as a touring bike? · And finally, kitna deti hein? Is mileage is better than cars or worse? In other words, this particular bike rental is not legal to circumvent which I had to sign some documents which effectively 'Transfer' the bike to me temporarily.... It doesn’t have yellow on black number plates as the bikes in Goa have or other self-drive rental cars have. Govt of India has a stupid rule that one should have 50 vehicles to start self drive business- don’t know what is the rationale for it. Not practical rule. I was asked to make payment through payumoney. Payumoney has a safeguard in place such that it collects money from us but will release it to vendor only after service is delivered. This way customers have some protection in case service is not delivered or not delivered up to the mark. But I was asked to release the money immediately to confirm booking, which meant I had to forgo any opportunity to raise a grievance. (From service provider’s perspective, they don’t want a situation where someone books but doesn’t turn up to collect the bike and then doesn’t release payment also, causing them loss of business). A solution to this catch 22 situation could be to release say 50% before and pay the balance later. On the specified date & time I went to WickedRide’s office in Jayanagar 9th block, Bengaluru. I had to give my original passport and a signed blank cheque leaf as security. (They don’t block amount on credit card like carzonrent). Paperwork was smooth. I caught up with my friends and set out to ride. More about the bike & Harley Davidson experience will be narrated in next post. In summary, it is good to know that high end bikes are now available for rent, so that everyone can experience them without having to buy the same. This can also help promote biking culture. However, on the downside, you should be prepared for a worst case scenario wherein if the bike is completely damaged, you will have to buy them a new bike in your own money. No insurance will come to your rescue, as these bikes are not legally rented to you. Thanks for the details Srinidhi. I liked the comparison of cars and bikes together. I am not a big fan of bikes, but would be happy to share this info with fellow friends if anyone is looking for such options. This is exciting. Have been pondering over getting a bike on rental from Wickedride. Look forward to your post on the ride. Thanks for this useful post. Very interesting piece of info. Well written as always. Hey you have not answered the queries you took the bike for, can you update your post? not legal -this is not good -i definitely don't agree to this business model,this is where all the problem starts. eg: you rent a bike to some guy who doesnt know how to control such heavy beasts -no insurance ,what happens if that guy hits somebody and injures that person ? its not all abt technology catching up ,circumventing rules is not good,its dangerous. @Srikanth: THat will be covered in next post. On the example you mentioned, wicked ride will probably claim that they sold the bike to you but you've not paid yet, making you fully responsible for any incidental expense. I am told by an unidentified reader of mine that insurance is still valid and WickedRide is probably saying the opposite just to ensure people ride safely. Yes to blank cheque. Lot of things are done on mutual trust- since they trusted me with their bike, I trusted them with my documents. This arrangement works fine as long as nothing goes wrong. Yes, there is a risk, but since the next alternative option is NOT to ride at all, I took that risk. Shri Nidhi: The insurance clearly states that the same shall not be valid if the vehicle is on Hire or reward. Since claiming insurance when we are renting will result in fraudulent claim, we dont claim insurance. We use insurance only for police verification. Also we tried negotiating with lot of insurance Companies but they all rejected to provide insurance for renting bikes till we have a yellow board for our bikes. Thanks again. Why couldn't you have yellow/black board for ur bikes from inception? What rule was stopping you? @Aragorn- that is old story- I was told RTO was not entertaining such registration for bikes. Now this seem to be sorted out- Yellow on black two wheelers are being registred in Karnataka..